In Forestry news: Bruce Blackwell says Kelowna still faces grave fire risk; the emerald ash borer is causing havoc in Saskatoon and Fredericton; and the BC government is accused of trickery in old-growth forest math. Finally, jaguars thrive in lightly logging logged forests; and a global sting against the illegal trade results in the seizure of thousands of tons of timber and wildlife. U.S. home building surged to near an 11-year high in May amid an acceleration in both single-family and multi-family home construction, but a second straight monthly drop in permits suggested housing market activity would remain moderate. Higher lumber prices as well as labour and land shortages have left builders unable to meet strong housing demand, which has depleted the number of properties available for sale. Housing demand is being fuelled by the lowest unemployment rate in 18 years. “There is some early evidence that lumber prices may now have peaked, but the shortage of labour will not be solved so quickly, and that means housing market conditions will remain tight for the remainder of the year,” said Matthew Pointon, property economist at Capital Economics in New York. Home builders pay between $15,000 and $16,000 in framing lumber costs to build an average sized new home. …A U.S. producers dispute with softwood lumber producers in Canada has riled a market… already under pressure from heightened volume demand. …Now, confidence and sentiment are subjective takes on what’s coming around the next corner, and even a two-point slippage in home builder sentiment… in an economic and business environment rife with buoyancy and momentum is noteworthy. 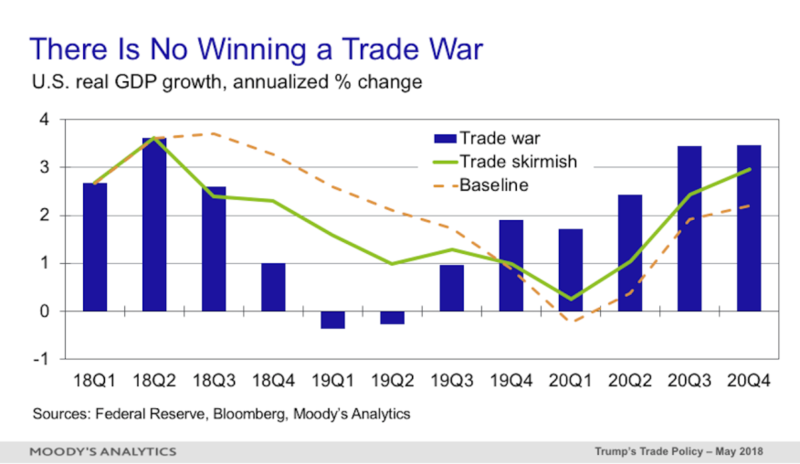 As the saber-rattling on a new onslaught of tariffs and increasingly painful countermeasures gets more vicious by the day, builders… are left to wonder not only about risks to their own cost structure, but ultimately, they also have to worry about the domino effects of trade wars on macro-economic factors such as jobs, household formations, consumer spending, and fundamental demand. Canadian industries will continue to work with Ottawa in the hope of addressing cross-border trade issues and regulatory challenges that impact their competitiveness. 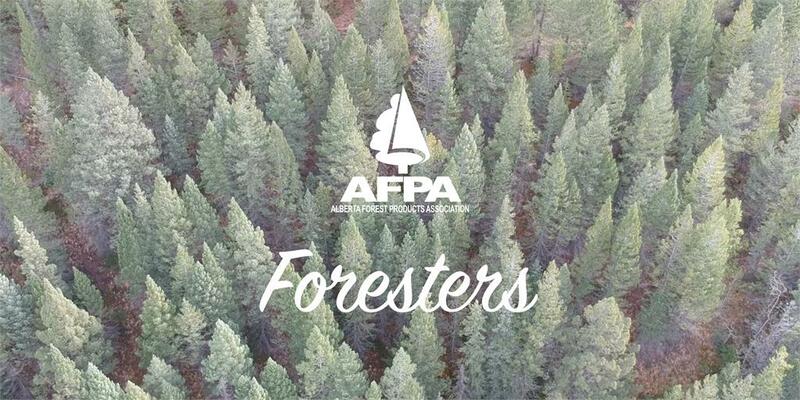 However, industry leaders also have an opportunity to put their respective sectors on a stronger competitive-footing, according to Derek Nighbor, chief executive officer of the Forest Products Association of Canada — who will be making a presentation to the Alberta Chamber of Resources Mid-Year Meeting this week in Calgary. “The ability of industries to remain competitive is key to ensuring communities across this country — especially those in rural and northern Canada — can be economically strong and vibrant,” says Nighbor. …What’s important to remember is that enforcing fair trade isn’t a partisan issue, and it’s not about scoring political points. Fair trade is about free trade, and the United States has a right to promote free trade for its industries and workers and an obligation to enforce our international trade laws. A perfect example of fair trade free of partisanship is the longstanding friction the United States has had on softwood lumber imports from Canada. I’ve spent over four decades in the wood products industry and have witnessed firsthand the damage Canada’s unfair trading practices have had on lumbers mills in the United States. In short, Canada’s government has been cheating the rules — giving hefty subsidies to Canadian lumber mills so they can sell their lumber at distorted prices in an effort to push out U.S. producers and monopolize the market. …It’s unfortunate that powerful groups have aligned with Canada to spread false facts. Four years ago, all the names on Canfor Corp.’s list of board directors belonged to men. But in the last two years, the forestry giant has attempted to boost female representation in its boardroom. The most recent move toward greater gender balance came on June 7 when it was revealed that Dianne Watts would be added to Canfor’s board. …Watts’ new role brings Canfor’s count of female board members to two, following the election of Barbara Hislop to the board in April 2017. “Canfor is committed to advancing diversity in all areas of the company,” said Katy Player, the corporation’s vice-president of people and communications. …Finning International Inc. has four women on its 12-member board, up from one out of 11 in 2014. …West Fraser Timber is up to two out of 10, from one out of nine in 2014. As the province reviews its log export regulations for the Northwest Interior, local forestry companies are calling for change, with some saying the survival of companies are being threatened by the current rules. The Northwest Interior Log Export Order, currently under review, allows companies to export up to 20 per cent of their timber, and after that they’re required to advertise the wood to domestic mills before exporting. A domestic mill can then report whether the timber is “surplus to domestic needs” and a Timber Export Advisory decides whether to allow further export. …Trevor Jobs, president of the Northwest Loggers Association, had similar concerns. …in the Northwest, the only domestic mill is Skeena Sawmills. So if the mill reports that wood is not surplus and blocks harvesters from exporting it, Jobs says it leaves companies with basically one option — sell it domestically to the only local mill, even if it’s offering prices below the costs of production. The British Columbia Investment Management Corporation made its decision to invest public sector pension funds in TimberWest independently of the government and cabinet, according to a statement from the agency. “No government minister, department or organization may direct BCI to make or divest any investment,” the statement said. 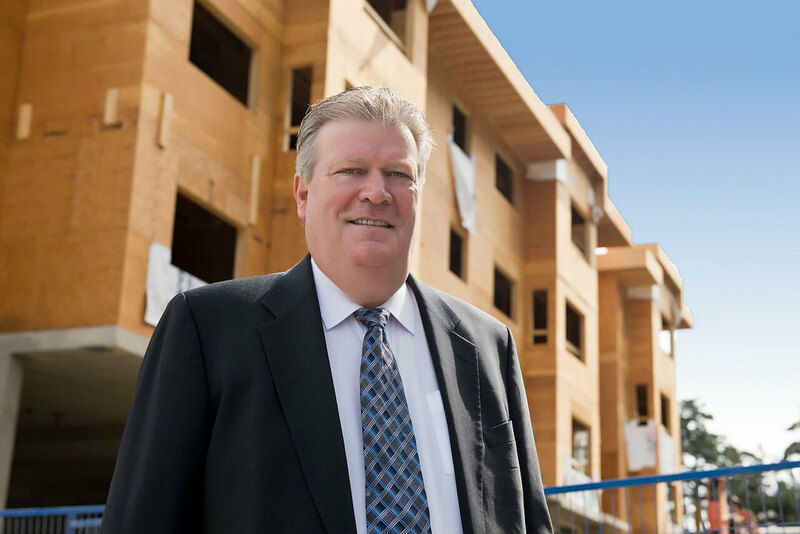 “The decision to invest in TimberWest was made by BCI’s Infrastructure team following extensive commercial due diligence.” The Tyee recently reported that documents filed in court suggest former forests minister Rich Coleman was actively involved in the process that led to the sale of TimberWest to BCI, formerly known as bcIMC, and the Public Sector Pension Investment Board. …“BCI’s decision to invest was made in the best financial interests of BCI clients and not for any other purpose”. KLAMATH FALLS, ORE. The Trump administration wants a federal court to dismiss a lawsuit filed by a group of Oregon counties challenging the expansion of the Cascades-Siskiyou National Monument. 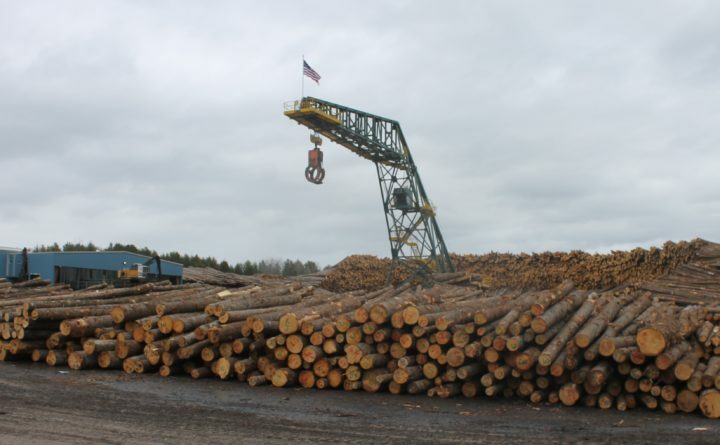 The Herald and News reported Tuesday that the Association of O&C Counties sued last year because monument expansion included more than 40,000 acres that were previously available for timber harvest. The Trump administration says the president’s authority supersedes timber laws that would allow harvesting to continue. The 17 Oregon counties depend on timber revenue provided by the O&C Lands Act of 1937, which established minimum harvesting and revenue sharing for 2.5 million acres of Oregon timberland. WASHINGTON — A surge of construction in the Midwest drove U.S. housing starts up 5 percent in May from the prior month. The Commerce Department said Wednesday that housing starts rose to a seasonally adjusted annual rate of 1.35 million, the strongest pace since July 2007. All of May’s construction gains came from a 62 percent jump in the Midwest, while building slumped in the Northeast, South and West. Home construction can be volatile on a monthly basis, so May’s gains may be a blip rather than a trend. The solid job market has helped to boost demand for new homes. Housing starts have risen 11 percent so far this year, with gains for both single family houses and apartment buildings. Prices for wood to build and renovate houses have as much as doubled over the past six months, increasing costs for consumers but boosting Maine’s softwood sales and signaling a turnaround in that segment of the forestry market, industry experts say. A number of factors drove up the price of wood. They include pent-up demand for new houses or additions following the recession, forest fires last year in western Canada that destroyed prime forests and shuttered mills for up to two months, a trade dispute between the United States and Canada, and hurricanes and other weather that created demand for repairs and new homes. A shortage of railcars and trucks also made it more difficult to transport lumber. That all translates into a tight supply of wood. …Some lumber yards are giving materials quotes to builders that are valid for only one week because prices are fluctuating so dramatically. An overseas investment law overhaul could boost forestry businesses and add about $4 billion to annual export earnings, says Forestry Minister Shane Jones. The Overseas Investment Amendment Bill, which a select committee reported back on yesterday, would ease the way for foreign businesses to invest and expand, almost doubling annual returns, he predicted. “We already plant about 60 million trees a year and we’ve got to get to 100 million a year so potentially international capital, in partnership with landowners, could boost about a $6.4b foreign exchange earner to $10b per annum over time,” he said. “Forestry is a long-term play but as the sector expands with partnership capital, the foreign exchange earnings will grow. 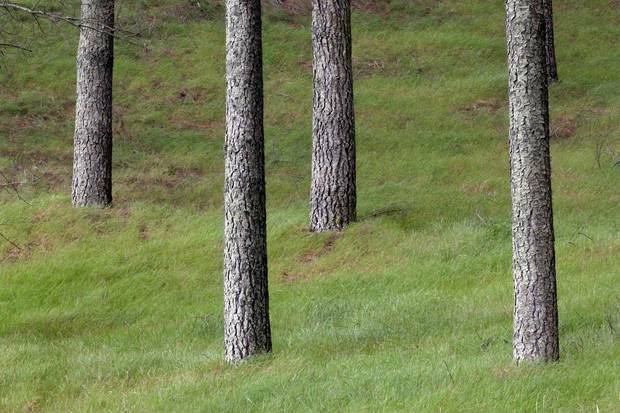 This won’t happen overnight but an increase in Japanese forestry investment would be so welcome in places like Kaitaia and the Tai Rawhiti,” he said. The sawn softwood production of most European sawmills are currently at a high level due to the increased demand for structural timber in Europe and continuing brisk demand in the USA and China, among others. This can be seen in the 2017/2018 Annual Report of the European Organisation of the Sawmill Industry (EOS); the Annual Report was presented at the Summer General Meeting organised by the Norwegian Timber Industry Federation in Oslo on 15 June. However, sawmills cannot expand their production capacities to some extent due to a shortage of logs. Representatives of various state associations also report that the supply of residual saw timber is too high. The demand for sawn hardwood is increasing compared to previous years. New research uses lake-sedimentary charcoal records and tree rings from eight forested landscapes to unlock regional trends in fire activity in boreal forests of Manitoba and Ontario over the past 2,500 years. …In this study, the researchers have discovered that for the last century, rapid changes in the climate and denser human occupation of the territory have had the opposite effect in the study area. First, they observed a reduction in the amount of biomass burned during the course of the last 2,500 years. …The level of fire disturbance is now lower than the historical level, despite global warming. …While this may be perceived as encouraging for human-wellbeing (e.g., infrastructure, allowable cuts) this situation may not be without ecological consequences. The aging of the forest landscape as a result of this decrease in disturbance can lead to a loss of biodiversity. Weeks after ordering an end to a blockade there, the B.C. Supreme Court is now being asked to stop the logging at Collison Point / St’alaa Kun. On May 28, the Council of the Haida Nation petitioned the court to stop Husby Forest Products from logging five cedar-leading cutblocks in the contentious area on the west side of Masset Inlet across from Kumdis Island. Not only does the CHN allege that Husby is alone among Haida Gwaii forestry companies for logging cedar at five to seven times the sustainable rate, it says its monitoring crews have evidence Husby felled at least 99 monumental cedars that should have been protected under the Haida Gwaii land-use order. “The cedar-leading forests of St’alaa Kun are the last major commercially available stands of cedar remaining on Haida Gwaii,” said a CHN affidavit presented to the court. A tiny pest that is believed to be thriving due to warmer winters and drier conditions is claiming thousands of trees in Saskatoon. 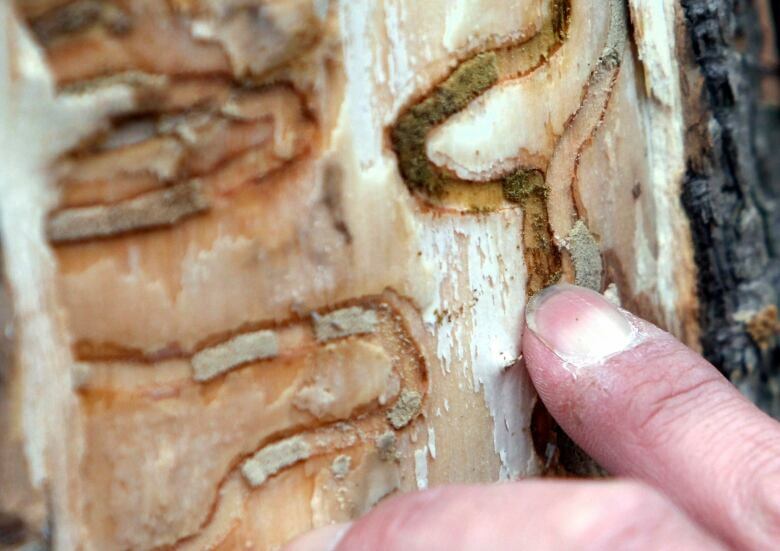 The City of Saskatoon cannot keep up with residents’ demands to remove trees killed by the cottony ash psyllid, a three-millimetre lice species that kills black ash trees, a city council committee heard Wednesday. The city is removing 1,000 ash trees this year and another 2,000 to 3,000 will need to be removed in the next two to three years, meaning the city could lose half of its black ash trees. Several Kelowna neighbourhoods are at severe risk of wildfires if action on vegetation, landscaping and access is not taken. Wildfire expert Bruce Blackwell outlined to city council Monday 47 recommendations he believes the city should consider over time to mitigate the risk of interface fires in the city. “In older neighbourhoods, there is still a considerable amount of vegetation that puts the community at risk, and landscaping that isn’t appropriate in a fire-dominated community,” said Blackwell. “Location of new development is still occurring in high-threat areas, steep slopes surrounded or intermixed with forested land with limited access.” …Blackwell also pointed a finger at the city, saying existing wildfire bylaws need to be enforced while at the same time expanding the development permit process. The public discussion about old-growth forests on Vancouver Island is rife with crooked thinking and trickery, and that’s a big problem. If we hope to have a mature discussion… then we need to be on the same song sheet. But it is very, very hard to get to that place when the custodian of much of those lands — the provincial government — fails to disclose the basic facts on which to have an informed debate and then uses bad arithmetic to assert that there is far more old-growth forest left than is actually the case. It’s hard not to conclude that both our provincial government and the association representing professional foresters in our province are deliberately trying to ensure that the public doesn’t see the forest for the trees. The Clinton and District Community Forest’s annual public meeting took place on Thursday, June 14. …The board of directors then announced the recipients of this year’s CCF funding, presenting each of the recipients with novelty cheques. …General manager Steve Law, RPF (Registered Professional Forester), went over the 2017 activities, and restated the drastic change in plans that took place following the Elephant Hill wildfire. Unable to log green timber, the CCF has shifted its focus to target and salvage burnt wood. In response to questions… Law stated that although the Chasm Mill is “central to the Community Forest,” the CCF “is not restricted by West Fraser in any manner” and can sell wood to anyone. Freezes and frosts have damaged more than half of the Christmas tree crop in some parts of Nova Scotia this spring. “The trees that were slated to be harvested this year, they’re estimating that half of them just won’t recover in time to be harvested,” said Angus Bonnyman, executive director of the Christmas Tree Council of Nova Scotia, in an interview Tuesday. “It takes eight to 10 years to have a marketable tree so it’s quite a loss.” The council has been talking with the provincial Agriculture Department and the Federation of Agriculture on possible emergency funding to help growers. Bonnyman didn’t have a damage estimate but noted that Nova Scotia growers export at least $15 million in trees each year. There is no provincial crop damage program for the Christmas tree industry, nor is there anyone in the government dedicated to Christmas tree industry issues, he said. Fredericton still has to decide what to do about an expected invasion by the emerald ash borer, but first the city is making sure it knows when the beetle arrives. The city, in partnership with Natural Resources Canada, is setting up 30 emerald ash borer traps around Grand Lake and Washademoak Lake, east of Fredericton, so it will know when the bug is close. …Mike Glynn, the city forester and assistant manager of parks and trees, said that once the bug is spotted, staff will immediately make a call to the Canadian Food Inspection Agency. GRESHAM, Ore. — Thanks to a couple of sizable donations from a local landowner, students in Mount Hood Community College’s Natural Resources Technology program now have the opportunity to get even more real-life experience as part of their two-year degree. The school used the donations to purchase a Wood-Mizer LT35portable hydraulic sawmill. “It’s basically just a scaled-down version of a modern sawmill,” says Natural Resources instructor Jason Pinkerton. …The mill purchase wouldn’t have been possible without the support of a local man who’s chosen to remain anonymous. Four years ago, the donor …partnered with the Natural Resources program… As part of their schoolwork, students developed reforestation plans and presented them to him. He ended up going with one of the plans and buying the land. Then, he decided to give back. Jaguars, the largest big cat in the Americas, need a lot of space… But as ranching, crop farming and other forms of development encroach on tropical forests, these fearsome predators are losing ground. A study published in the March issue of Biological Conservation offers hope. Scientists at the San Diego Zoo, the Wildlife Conservation Society, and Peru’s National Forest and Wildlife Service found that in some lightly logged forests in Guatemala and Peru—certified by independent experts as “well managed”—jaguar densities were comparable to those in protected areas or other high-quality habitats. The study adds to a growing body of evidence that such forests can serve as important habitat corridors for the wide-ranging felines. In an effort to estimate the effect of drought on the Brazilian Amazon, NASA has created the first ever 3D model of its canopy. Rainforests are some of the most complex and rich ecosystems on the planet. [Rainforest canopies] can rise up to 15 or even 20 stories high and form ecosystems unto themselves. However, they are in danger. Climate projections suggest that the Amazon basin will experience warmer and drier conditions in the future. We’ve learned from periods of drought that rainforests don’t handle dryness well. When faced with long periods without rain, rainforest trees risk drying out because there’s not enough water in the soil for them to pump up to the canopies — so they starve. …[A NASA] team used an airplane-mounted light detection and ranging (LiDAR) device to create a 3D model of the Brazilian Amazonian canopy, drawing data from three separate flights in 2013, 2014 and 2016. PARIS – A monthlong global operation against illegal trade in wildlife and timber has resulted in the seizure of thousands of live animals and tons of meat and ivory, international police agency Interpol announced on Wednesday. …Some 1,400 suspects have been identified worldwide, Interpol said. …The 1,974 seizures, worth millions of dollars, include 43 metric tons of wild meat — including bear, elephant, crocodile, whale and zebra — 1.3 tons of elephant ivory, 27,000 reptiles, almost 4,000 birds, 48 live primates, 14 big cats and the carcasses of seven bears including two polar bears. Several tons of wood and timber were also seized. “In this operation, these countries focused during the month of May on all sort of wildlife crimes whether they be plants, animals, timber,” said Sheldon Jordan, Canada’s director general of Wildlife Enforcement. …wildlife crime is the fourth largest crime by value in the world, estimated to be worth $115 billion a year. Oregon’s fire risk has been right around normal though June, but that’s going to change for the worse for the rest of the summer. State and federal forest managers and staff Monday during a media conference call discussed the outlook of wildland fire for 2018. Noel Livingston, fire management officer on the Wallowa-Whitman National Forest, said a normal summer “really did ring true right up until about now.” But the warm May melted off the snowpack two weeks early, he said, and the green forests of eastern Oregon are drying out. Southern and central Oregon will be “above normal” for significant wildlife fire potential in July. And come August — the peak of the hot, dry summer — northeast Oregon also enters that red zone. The first monsoon storm of the season moved through Arizona last weekend, finally dampening a frightening fire season. Even before the rain started over the weekend, some 95 firefighters backed by helicopters and air tankers had achieved 75 percent containment on the 176-acre Tank Fire near Clints Well, which had briefly threatened as many as 100 homes. …Fire officials hope the start of the monsoon will reduce the danger from one of the most volatile fire seasons in years, due to the extreme dryness of the fuels. Some measurements in the Payson Ranger District showed fuel moisture levels at an all-time low.